Fishermen, how to protect your feet from the cold in winter? The first great cold, the frosts, the piercing breeze and the icy wind that make you shiver. All this combined with the environmental humidity are factors that prevent you from being warm! When you go fishing during the weekend, these constraints can be very challenging both mentally and physically. 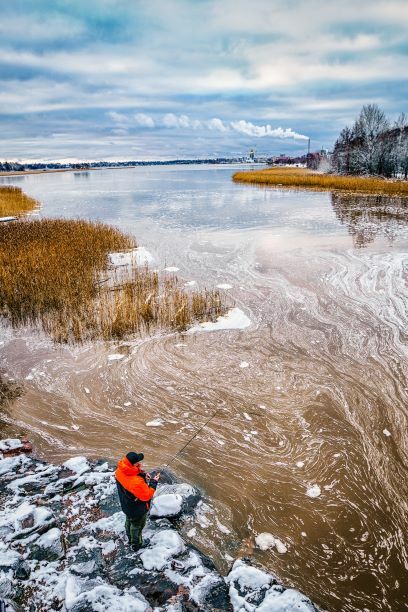 Whether you fish in Norway or in the small river in your village, you will be confronted with this cold. This plague, which occurs in winter, is very constraining for fishermen. Some people give up and therefore do not fish in winter. But the cold does not scare purists who fish every month of the year. 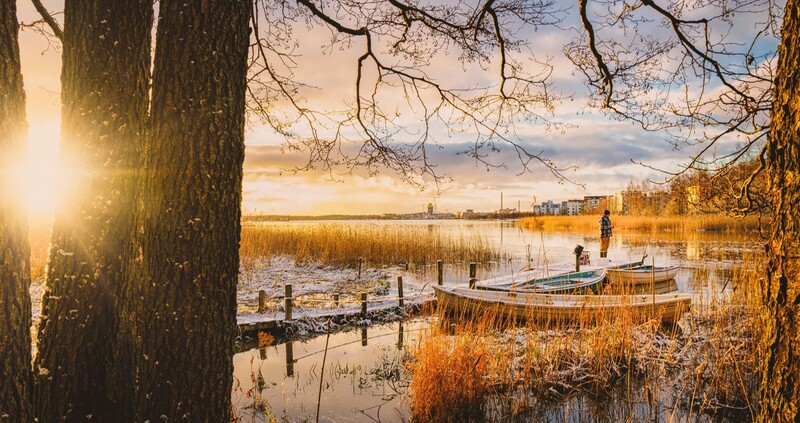 It is clear that fishing in good temperatures in winter is not easy. Sometimes it is enough to feel cold in only one body part for you to have a bad time. Generally, it is the extremities that are the first to cool down. These are very slow to heat up and require a lot of attention. It is all the more restraining because they are the parts of the body most solicited to fish. As a result, some winter fishing trips can turn into a nightmare. So, in this article, we will try to provide you with solutions to prevent the cold at your feet. Usually, it is the feet that are most exposed to the cold. They take a long time to warm up, there are very few solutions for this and the phenomenon is recurrent. In addition, when fishing, either on the shore or on the water, it is essential to have a certain comfort. Stacking many layers may isolate you from the cold, but fishermen lose mobility. Using technical underwear is expensive and not always effective in protecting your feet from the cold. Buy boots 2 sizes larger than yours. As a result, the foot is not in direct contact with the material and you can stack 2 to 3 pairs of socks (wool if possible). This solution may be the right one for the less cautious among you. Use your “waders”. Although they are designed to fish with their feet in the water, they are also the main obstacle to the wind. A dreadful protection for your feet against the cold. Stack up underlay and polar clothing and finish with a waterproof jacket. This technique is simple and effective for the upper body. Wear a hat with a fleece lining to keep your head warm. Try the neoprene gloves, they keep hands warm. Even if nothing can replace a bare hand cane outfit, they are essential to keep your fingers warm. However, there is no miracle cure for cold weather. This list of examples is a summary of the various existing solutions. Of course, if you want optimal cold protection, it requires a certain investment. Nowadays, technological prowess have made it possible to discover effective solutions to counter the cold. As mentioned above, the extremities are the most difficult areas of the body to protect. However, we did not mention thermal insoles in the list of our recommendations. Indeed, there are solutions of this kind. The “Warm Series” heated insoles are one of them. 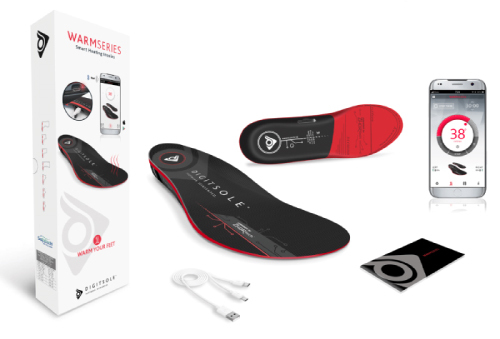 These are thermal insoles, rechargeable and directly connected to your smartphone via an application. This allows you to set your temperature to the nearest degree and turn them off when you no longer need them. In addition, they have a battery life of about 6 hours if you heat them to 35°C. Finally, they are thin and largely pass through boots. This can be a powerful weapon to overcome the cold in winter and keep your feet warm. Moreover, being “water resistant”, they are ideal for fishing.